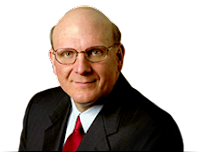 In an e-mail to customers, Steve Ballmer, chief executive officer of Microsoft, shares information about new technologies from Microsoft that will open the door to a new generation of solutions that extend from the desktop to the mobile phone, the mobile media player, the car, the TV, and beyond. What’s missing is the ability to connect these components in a seamless continuum of information, communication, and computing that isn’t bounded by device or location. Today, some things that our intuition says should be simple still remain difficult, if not impossible. Why can’t we easily access the documents we create at work on our home PCs? Why isn’t all of the information that customers share with us available instantly in a single application? Why can’t we create calendars that automatically merge our schedules at work and home? Pl. visit http://www.microsoft.com/mscorp/execmail/2008/10-28nexttechrevolution.mspx to read the full text of the interview.